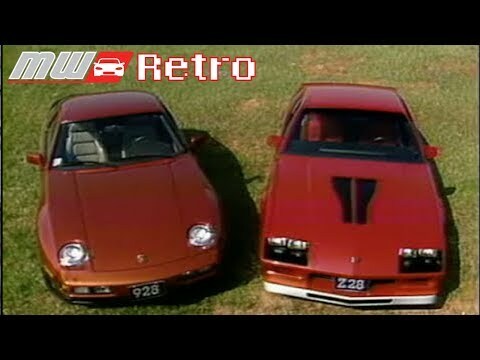 The Porsche 928 and Camaro Z28 are not vehicles that are often compared. They are in many ways totally different types of cars. The 928 is a luxury performance machine, but the Z28 is a muscle car that in 1983 still had a solid rear axle. Back in 1983 MotorWeek decided to test both vehicles on the track. At the time the 928 S went for over $40,000 versus just over $10,000 for the high performance Camaro. Does It Make Sense To Build Your Own Chevy Camaro Z/28? Let’s say you bought a 2015 Chevrolet Camaro SS, but really want a Z/28, should you trade-in the car to upgrade? If you are mechanically inclined, there may be a way to build a Z/28 instead of purchasing one from a dealer. Not only can you build your own, but it may cost you less money to do so than to purchase a factory built car. In fact if you want just the look of the higher performance Camaro it will cost under $1,600. However, to get the added performance will cost you 17 times more. Click past the jump (or scroll down if you came directly to the full article) to find out more of what it takes to build a Camro Z/28 starting with a SS. This year marks the final year of production of the fifth generation Chevrolet Camaro. It has been a very successful car for GM with almost 500,000 cars being sold since it went on sale in 2009 (they should hit that number once the March sales are final). Of course this generation car is also attached to a famous Transformer. With Bumblebee being a fifth generation car in the more recent movies, it further helped sales of the performance machine and it was able to outsell its chief rival, Mustang. Hit the jump to find out more about the fifth generation Camaro and to see a video with a tease of the sixth generation car.